The ultimate guide to creating the most popular form of manga—shoujo! If you're reading this, you already love shoujo. But now you'll be able to take the next step and actually write and draw your very own. The teen characters that populate the genre are outrageously cool, including magical girls, demon gals, cat girls, J-rockers, handsome teen boys, Goth boys, and the increasingly popular elegant older young men that shoujo fans adore. No one can top Christopher Hart in helping you learn some fundamental art techniques that will bring shoujo characters, which are more realistic and less cartoon-like than other styles of manga, to life. His drawings in this book reflect the coolest and latest style Tokyo has to offer, and the easy-to-follow steps are designed for the beginner. 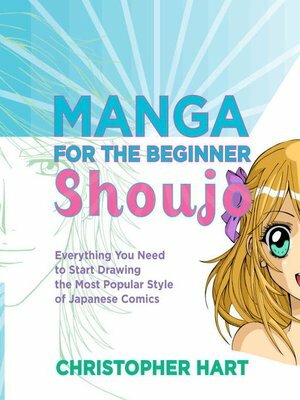 From coloring to character development, Manga for The Beginner Shoujo has your back on every detail as you learn to create the most beloved of all manga. You may start off as an otaku (a manga fan), but you'll end up a mangaka (a manga artist)!